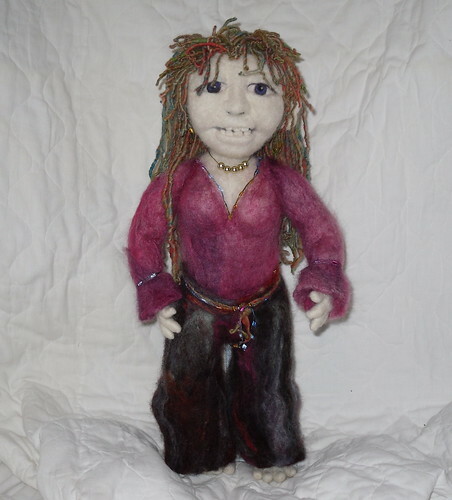 Now this week i've been so into needle felting again and its so good, this girl is what came out and i really like her. She has a core of Merino and her outlayer is Romney, her clothes are my dyed Gotland and her hair is one of the first yarns i spun on my hand spindle. She stand 18inch tall. I think SKY is a nice name for her, what do you think.